The Honourable Dr Annabelle Bennett AO SC was formally elected as Bond University’s 8th Chancellor on 19th April 2016. Dr Bennett retired as a Judge of the Federal Court of Australia in March 2016 after a distinguished career in the law. She initially graduated from the University of Sydney with a Bachelor of Science Degree and subsequently completed a PhD in Cell Biology. In 1980 she changed career track to follow a life-long interest in the law and completed an LLB at the University of New South Wales. Dr Bennett was admitted to practice in New South Wales, the Australian Capital Territory, Western Australia, Victoria, South Australia, Queensland and Northern Territory, and developed expertise in intellectual property, administrative law and professional misconduct. In 1994 Dr Bennett was appointed Senior Counsel in New South Wales and was appointed to a series of prominent roles, including the Takeovers Panel, NSW Bar Association Mediators’ Panel and the Supreme Court of New South Wales Mediators’ Panel. She also served as an Acting Judge of the Equity Division of the Supreme Court of New South Wales. In addition to her Federal Court appointment, Dr Bennett has served as the President of the Copyright Tribunal of Australia, Arbitrator of the Court of Arbitration for Sport, Presidential Member of the Administrative Appeals Tribunal and an Additional Judge of the Supreme Court of the ACT. Her experience in Science has included serving on the Pharmacy Board of NSW, as a former President of the Australian Academy of Forensic Sciences 2003-05, as a Member of the Genetic Manipulation Advisory Committee, a Member of the Biotechnology Consultative Group (BIOCOG) to the Commonwealth Government, as a Member-Vaccine Working Group of Australian National Council on AIDS, the Advisory Committee of the Australian Law Reform Commission on the Gene Patenting & Human Health Reference, and most significantly as the Chairman of the National Health and Medical Research Council. Dr Bennett has also had a strong background in higher education. In 1998, she joined the Council of the Australian National University and served for over a decade as Pro Chancellor of the ANU. Further, Dr Bennett currently sits on the Advisory Board of the Faculty of Law of The Chinese University of Hong Kong, which provides additional insight into trends and developments in global education. Dr Bennett’s strong commitment to the community is evidenced by her service to various non-profit organisations including positions as a Trustee of the Centennial Park and Moore Park Trust, Director of the Sydney Children’s Hospital Foundation (formerly the Prince of Wales Children’s Hospital Foundation), Member of the Board of the Eastern Sydney Area Health Service, Director of the Management Committee of Westmead Research Institute and Member of the Board of the United Dental Hospital Sydney. In 2005 she was appointed as an Officer of the Order of Australia (AO) for service to the law, particularly in the areas of intellectual property, administrative law and professional conduct; and to the community. Bond’s personalised approach to education combined with its uncompromising focus on industry relevance sets Bond University apart from every other Australian university. And by undertaking three-semesters-per-year instead of the usual two, students complete their degree studies twelve months or more before their colleagues from other universities, thereby gaining a vital advantage in the ultra-competitive careers market. This advantage is further driven by graduates themselves. Many within Bond University’s close-knit global network of alumni now hold upper echelon management and partnership positions in blue-chip organisations around the world and maintain that their Bond experience was a key factor in fast-tracking their careers. Ultimately, the results speak for themselves. For the twelfth year in a row, Bond University has received more 5-star ratings for Student Experience than any other university in Australia in the latest edition of 2018 The Good Universities Guide. 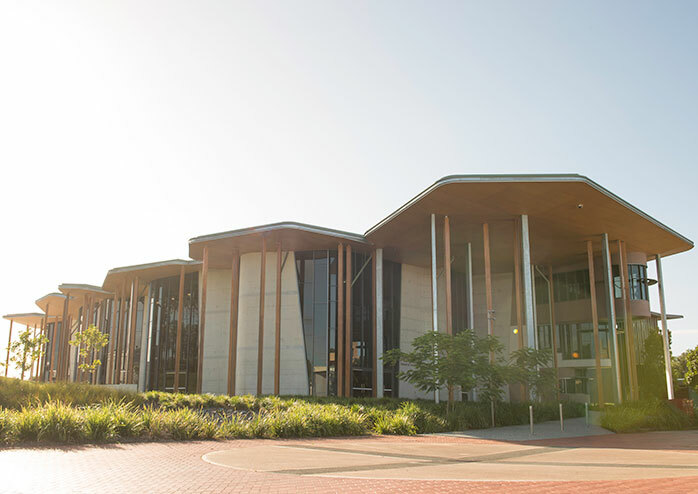 The independent consumer guide rated Bond University five-stars across all six Student Experience measures – Overall, Teaching Quality, Learner Engagement, Learning Resources, Student Support and Skills Development – as well as 5-stars for Student: Staff Ratio and Student Retention. At Bond University, we believe that potential becomes limitless when you combine ambition with opportunity. In fact, we not only share your ambition, we bring it to life. Finish your degree up to a year ahead of the rest. Be mentored by world leading academics. Council is responsible to the University’s stakeholders and the broader community to ensure that the University is managed prudently, efficiently and in compliance with all relevant regulation with a view to ensuring the institution’s sustainability over time. Council leads the University community of students, staff and others to meet and advance the University’s goals and objectives. Councillors, individually and collectively, represent the University externally to further the University’s interest when they are operating in their role as a member of Council. The responsibility of each member of the Council is to the University as a whole, not to any sectional interest group.